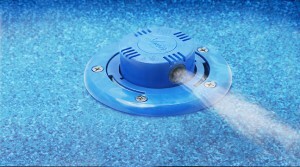 The Vanquish Infloor Circulation and Cleaning system is engineered to clean your pool floor and walls. 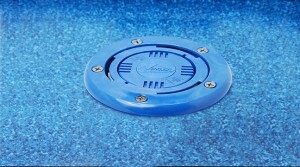 Vanquish is a cleaning system for pre fabricated vinyl lined inground pools, that is built into your pool. 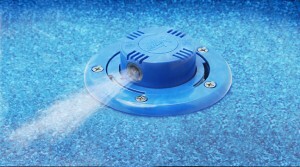 The pop-up nozzles push the water and debris to the central collection point, and assists in the distribution of heat and chemicals throughout the pool, resulting in cleaner, warmer, healthier water. When not in operation it disappears back into the pool floor, making it virtually invisible. There are no unsightly robotic cleaners and hoses. Vanquish is custom-designed for your unique pool Shape.